Once established on Hormone Replacement Therapy you will be asked to make your next routine appointment with the Nurse. She will ensure that you are kept up to date with cervical smears and breast examinations/mammography. You will see the Nurse every year and the doctor every 2 years. Please seek earlier attendance if you have any concerns. After 5 years of use, discuss with the doctor. Our Nurses do most of the routine smears for routine follow up. We co-operate with the Dorset Screening Service and offer 3-5 yearly appointments as appropriate. We recommend cervical smears for all women (who have ever been sexually active) from the age of 25 years. The doctors carry out Blood Pressure monitoring in conjunction with the Nursing team, including our HCA's. At your appointment, you will have all the tests performed for which you would normally have to make separate appointments and this ensures that everyone on blood pressure treatment will have an annual blood test, which is important. 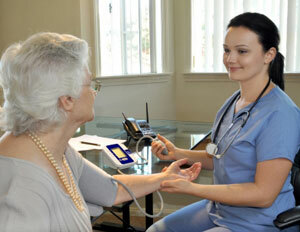 We offer high quality diabetic care for all our patients. Regular follow-up is important; we recommend at least twice per year for a medical check-up. This check-up will include an examination of your feet to assess your circulation and nerve responses. Remember, an annual eye check with an optician and an annual check up is also essential. Please make appointments for the Diabetic Clinic in reception. You will be asked to attend a Diabetic Progress Check initially followed by a further review with our Diabetic Nurse or Doctor once your results are available. Please remember to bring a urine specimen with you when you attend your initial appointment. We strongly recommend the Department of Health Immunisation Programme, and our belief in its safety means all our own families have been immunised - trouble free. Your child will be offered an appointment for the regular immunisations issued by the Health Authority. The Practice prides itself on the high uptake of this excellent service, but if you should have any worries or concerns please discuss these with a Health Visitor, doctor or Nurse. These are organised through your Midwife. The doctor will examine your baby at the 8 week check. 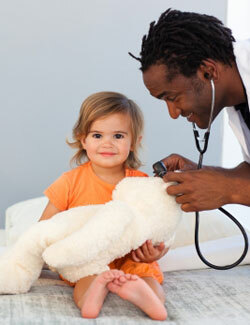 The Health Visitor or Community Nursery Nurse will monitor your childs progress. This is an opportunity to discuss your childs development and progress with a professional and to consider any worries you may have regarding your childs development and/or examination. You will be contacted at the appropriate time to arrange a suitable appointment. Please discuss with the Nurse. We have excellent facilities for the provision of Minor Surgery within the Practice. This service covers the removal of minor lumps/bumps, papillomas, etc. We also remove in-growing toenails. This service does not cover cosmetic removal such as skin tags. Please see your doctor. We offer high quality asthma care for all our patients. This is a common condition of variable severity affecting many of our patients. We recommend that your condition is reviewed annually by the Nurse to discuss progress and treatment. More severely affected patients will require intensive follow-up - please discuss with the doctor/Nurse. COPD patients have regular monitoring, spirometry and medication reviews as appropriate. We have extensive expertise in this field and both conditions are extremely common. The doctors will advise appropriate self help, self physiotherapy and medication after an interview and examination. Treatment includes simple drugs, stronger drugs, physiotherapy, chiropractic treatment and in some cases, injections.